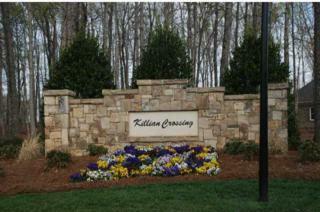 Killian Crossing is a beautiful community just off Highway 16 in Denver, North Carolina. The community offers a suburban atmosphere with approximately 116 home sites and 49 acres of common open space. The developer preserved the natural layout of the land, leaving hardwoods and pines among rolling hills. Killian Crossing is conveniently located to Birkdale Village in Huntersville where you can find great shopping, restaurants, bars and even a movie theater. Hickory is just a short drive to the North and Charlotte is only 25 minutes away to the South. Homes here are valued at $300,000 and up.